Find the newest Evernote Beta announcements by platform here, and leave your thoughts, ideas, feedback, and questions! Join the discussion about integrating Evernote via Evernote's scripting interfaces or service API. A collection of the best Evernote Staff approved answers for frequently asked questions from the community. If you have a possible bug or technical issue that is not related to a particular platform, post it here! Community-based help for Evernote Business. Running into trouble or have a how-to question? Post it here. Community-based help for Evernote Android. Running into trouble or have a how-to question? Post it here. Community-based help for Evernote IOS. Running into trouble or have a how-to question? Post it here. Community-based help for Evernote Mac. Running into trouble or have a how-to question? Post it here. Community-based help for Evernote Windows. Running into trouble or have a how-to question? Post it here. Community-based help for Evernote Web. Running into trouble or have a how-to question? Post it here. If you have a feature request related to the Evernote Service, that is not specific to a particular platform, please post it here! 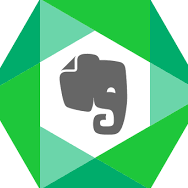 Let us know what you think about Evernote Android--discuss feature and design feedback here. Let us know what you think about Evernote IOS--discuss feature and design feedback here. Let us know what you think about Evernote Windows--discuss feature and design feedback here. Let us know what you think about Evernote Web — discuss featured and design feedback here. If you have a possible bug or technical issue that is related to Skitch, Scannable, Penultimate, or the Web Clipper, go here! El área en nuestro foro para usuarios de Evernote en Español.